Please make sure you understand our Disclaimers and Policies before you register for this event. There will be NO exceptions. REGISTRATION DISCLAIMER: It is highly recommended that riders purchase registration insurance upon reg’ing for the event, as well as read the policy to make sure what is covered. Doing so, allows riders to avoid the following: Refund and Exchange Policy for the Mt. Washington Auto Road Bicycle Hillclimb. Refunds will only be processed after the Hillclimb registration has closed and to the extent that there exists eligible replacements on the wait list. All refunds will be processed at the sell out level less $50.00 service fee. No refunds will be given after June 1st, 2019. Exchanges will not be processed after July 1st. 2019. The Mt. Washington Auto Road Bicycle Hillclimb fee of $350 goes to the implementation of environmental education programs. DISCLAIMER: Tin Mountain Conservation Center reserves the exclusive right to determine who will participate in the Mt. Washington Auto Road Bicycle Hillclimb. Riders who have registered for the Hillclimb may not trade, sell, or exchange their registration with anyone else without the expressed permission of TMCC. To qualify for the Top Notch wave (the first wave of six) the following apply: THE previous year MWARBH or Newton’s Revenge RACE time of 1:20 or less or be a CAT 1, 2, or PRO. There are NO EXCEPTIONS! The race is open to anyone fit enough for the challenge. Any athlete who has been determined to have ever violated anti-doping rules or policies, whether enforced by the International Association of Athletics Federations (IAAF), the World Anti-Doping Agency (WADA), U.S. Anti-Doping Agency (USADA), Union Cycliste Internationale (UCI), USA Cycling, or any other national sports federation is forever ineligible for entry into the Mt. Washington Auto Road Bicycle Hillclimb. The Mt. 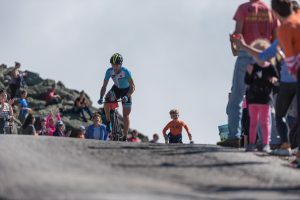 Washington Auto Road Bicycle Hillclimb reserves the right to conduct post-competition urine analysis for any and all performance-enhancing drugs (PEDs) listed on the current WADA Prohibited List. Any athlete who refuses to submit to anti-doping controls, if selected for testing, shall be disqualified and subject to a lifetime ban from the Mt. Washington Auto Road Bicycle Hillclimb. 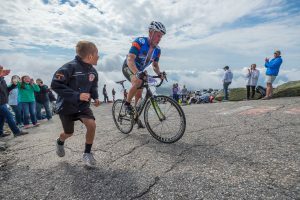 By registering for the 2019 race, riders agree to the 2019 waiver. Motorized bikes are not allowed in the MWARBH. Helmets are mandatory for all racers. Cyclists who have raced Mt. Washington Auto Road Bicycle Hillclimb for Tin Mountain Conservation Center the prior 5 or more races qualify for early registration (pre-reg). During the pre-registration period, entry will be passcode protected. Any violations of early registration may result in termination of registration. The day of open registration (as nearest to 8am EST), that passcode will be lifted. MWARBH will be adopting the USAC standard of calculating results based on race age (your age on 12/31), vs. your age on race day. Many of you have suggested this change in the past, and in an effort to improve your racing experience and to align ourselves with national standards, we’ve decided to make the change. That said, all historical results will remain in tact, for all categories including age groups, until a new corresponding record is set. We’ve also assumed the responsibility of modifying your age groups appropriately in the registration database, since this change has come after you registered and selected your age group during registration. There is nothing that you need to do or to worry about; we’ve taken care of it for you! Registered Hillclimbers who do not attend the race forfeit all merchandise UNLESS arrangements are made prior to the race. Motorized bikes are not permitted in the MWARBH. The Clydesdale division is for men over 190lbs and Filly is for women over 140lbs. 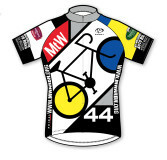 The minimum age requirement for the race is 14 years old at the time of Jan.1st. Race directors Jotham Oliver and the Auto Road can be contacted for exemptions, but in the end their decision is final. What does “Weather Date” mean? We will move the race to the Weather Date if the following conditions are reported on the road and summit the morning of race day – ICE, SNOW, VERY HIGH WINDS and HARD DRIVING RAIN. We will stop the race if conditions are deemed unsafe for the riders in the race or cars heading down. We will not cancel the race for “uncomfortable” conditions. If weather should cause cancellation both days, your entry fee will be graciously accepted as a donation to Tin Mountain. Sorry, NO REFUNDS. If you have any questions on the MWARBH, email joliver@tinmountain.org.